For this day of the challenge, it says it is polka dots day.. sooo.. basically my favourite day, EVER! 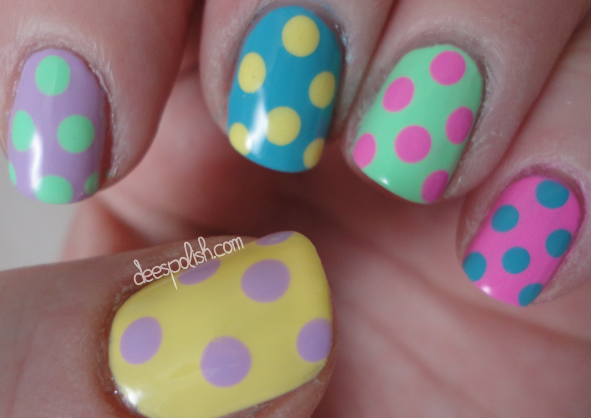 I had a photo sitting in my inspiration bin - simple dot mani using an array of colours. Of course I needed to replicate it. I do not know where the original photo is from - probably from one of the many magazine scans that I used to have on my computer. This particular image made the cut when I decided to purge my serious photo collection. Side note: if anyone recognizes the image and knows exactly where it is from - let me know so I can give some proper credit! 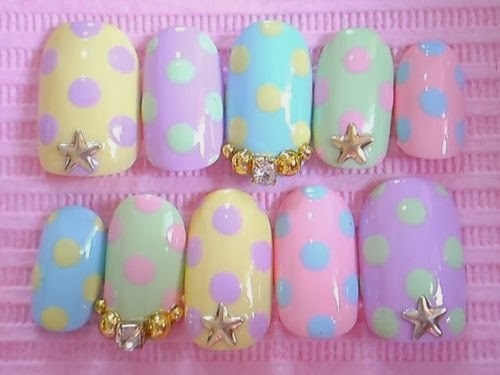 Now, I know the image shows pastel colours - and pastel colours are amazing.. but.. I am more of a vibrant polish kind of gal. That is it for today.. I will see you all again very soon! !